Will delight and educate all at the same time! 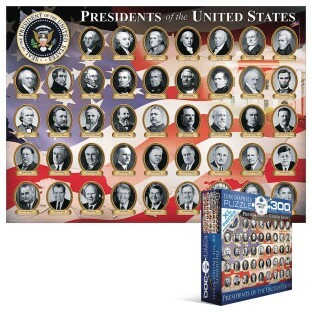 Trace the history of American Presidency in the White House from George Washington to the present day. Strong high-quality puzzle pieces are made from recycled board and printed with vegetable-based ink. This superior quality puzzle will delight and educate all at the same time. 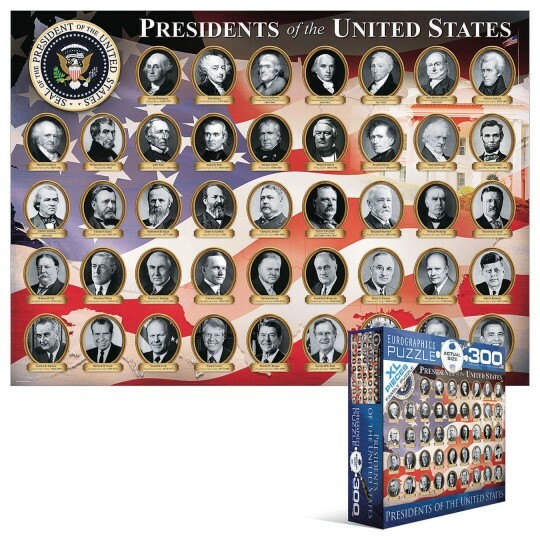 300 piece jigsaw puzzle. Extra large pieces are great for anyone with sight or dexterity concerns. Finished puzzle is 19” x 27”. Puzzle inside box is also in a biodegradable bag.